Warren Ellis is a renowned graphic novel writer. If you don’t read comics you may not know him, but you probably know his work. His graphic novel Red was made into the movie of the same name starring Bruce Willis. He wrote the graphic novel Iron Man Extremis that is a large part of the plot for Iron Man 3. He’s also worked on many other titles for both Marvel and DC. 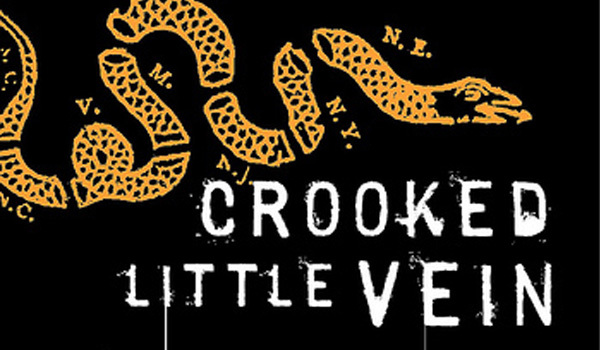 Crooked Little Vein is his first novel and is an amazing noir story mixed with some humor and fantasy, he does come from a comic background after all. This book will make you say “What the hell…this guy is sick!” while you are laughing out loud. This book is not for the faint of heart and may disturb or disgust some, but if your into noir and on my site I think you will be OK. This is about a private detective that has the worst luck and needs a big break to get back to even. He finds it when the government hires him because of his bad luck, they figure he’s a magnet for it and can help them in ways the agents from the government can not. He meets a femme fatale that is willing to help him, and our adventure begins. They travel to some of the most underground scenes across this great country of the United States of America to find a book that only the President is supposed to have, but Richard Nixon lost years ago. This is the reason the country has been on a downward slide ever since. Like I said, this isn’t a straight up noir, but that just makes it a little more original and it is a great one. It is a blast to read and I look forward to reading more from Ellis. Gun Machine is his next noir book and I also plan to check out some of his graphic novel stuff. I recommend it if you want to read something different then the norm.